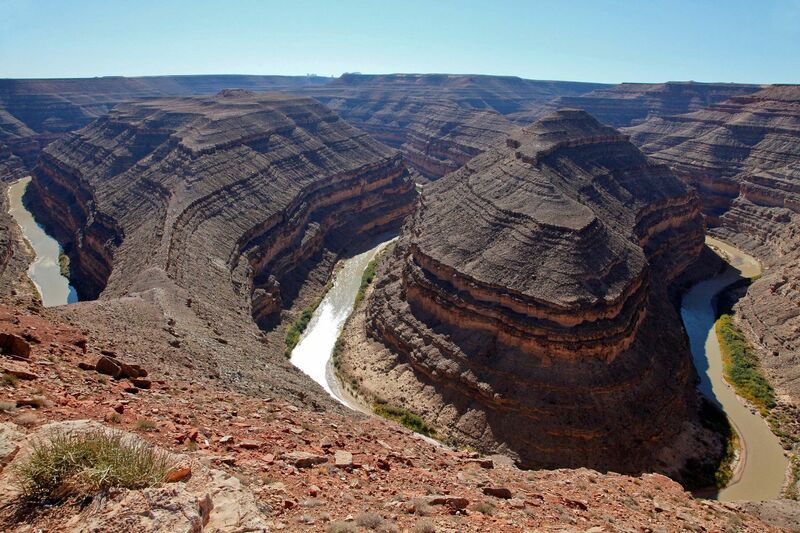 Here you can gaze down at the results of 300 million years of time, where the San Juan River winds its way through the desert 1,000 feet below. Goosenecks State Park offers spectacular views of this amazing and rare geologic formation, known as an entrenched meander. Over a distance of one and a half miles, the San Juan flows for more than six miles through the twists of the entrenched meander.